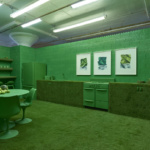 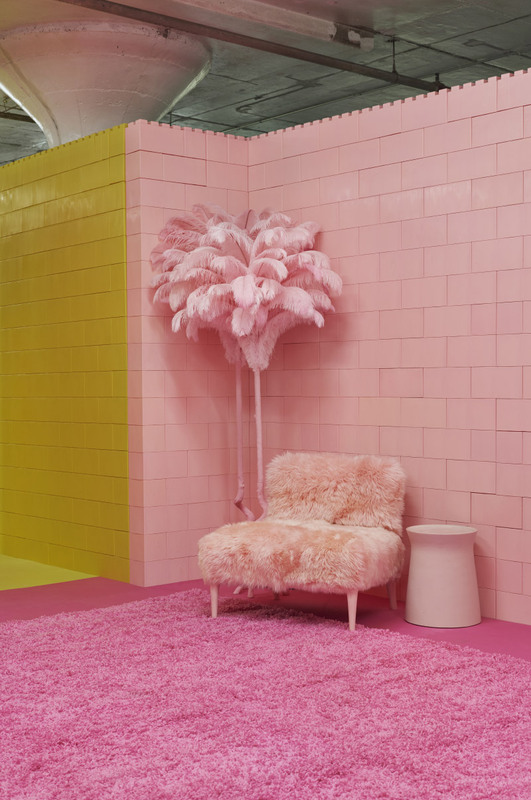 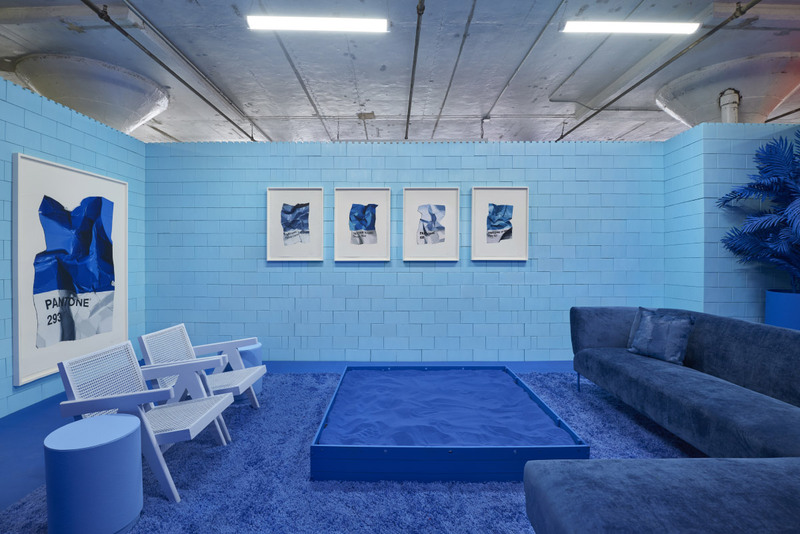 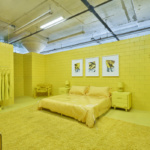 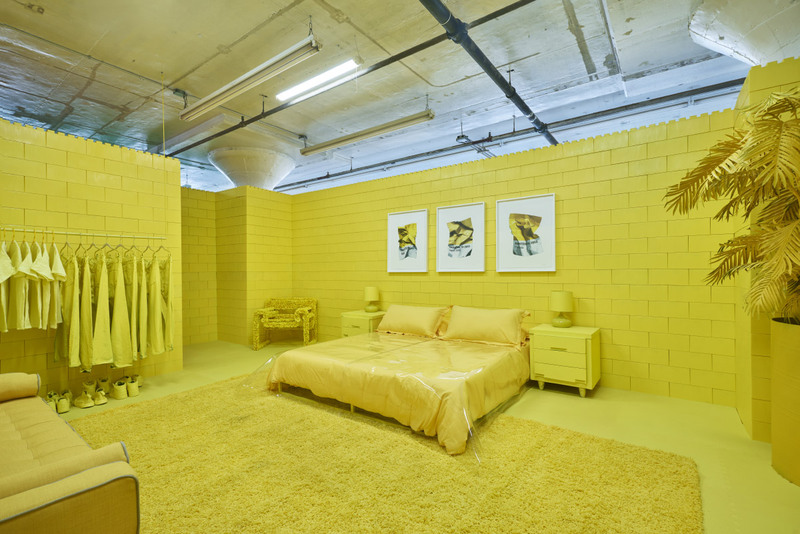 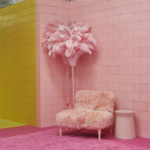 Australian-born artist Cj Hendry has dropped a full-sized house inside of a 22,000-square-foot warehouse in Greenpoint, Brooklyn, as part of a new solo exhibition that probes the relationship between art and interior design. 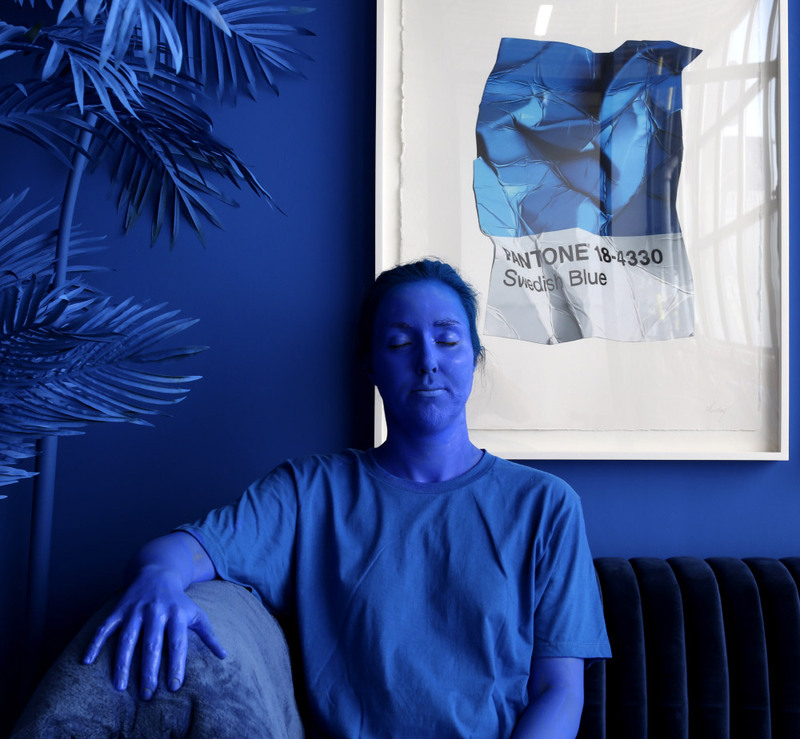 MONOCHROME will run from April 5 through 8, and features seven different rooms, each painted in single color palettes in deference to the art hanging in each. 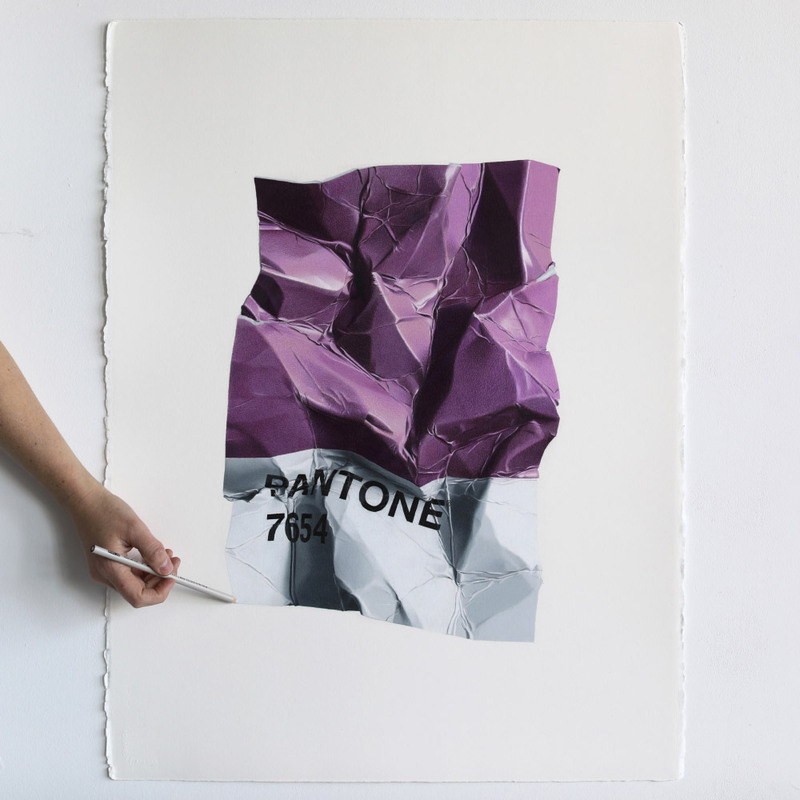 MONOCHROME, Hendry’s fifth solo exhibition, is a departure for an artist known for her hyperrealistic black-and-white pen drawings of pop and kitsch items. 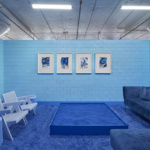 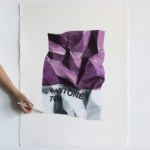 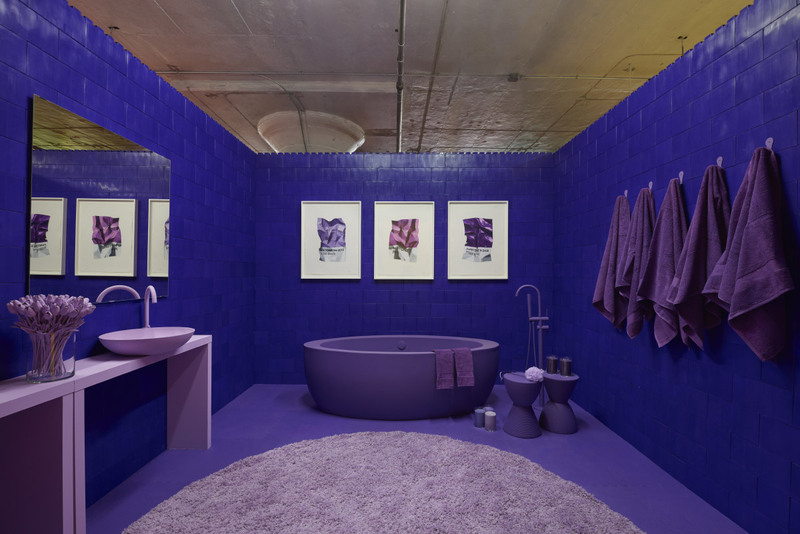 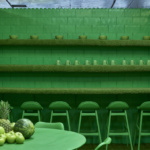 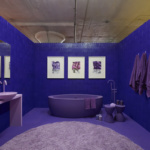 The show centers around a series of crumpled Pantone swatch painting in each room of a 10,000-square-foot house, from which the surrounding environment draws its singular color scheme. 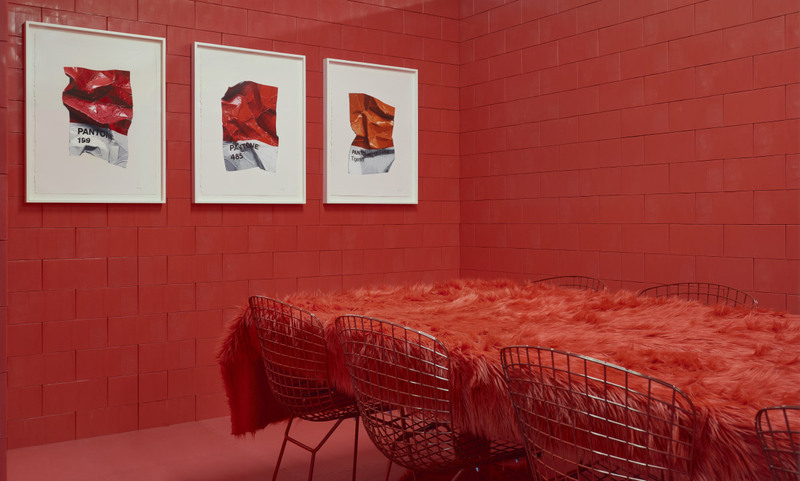 Seven rooms throughout the exhibition, each playing off of a typical housing typology, have each been painted in their own bold color. 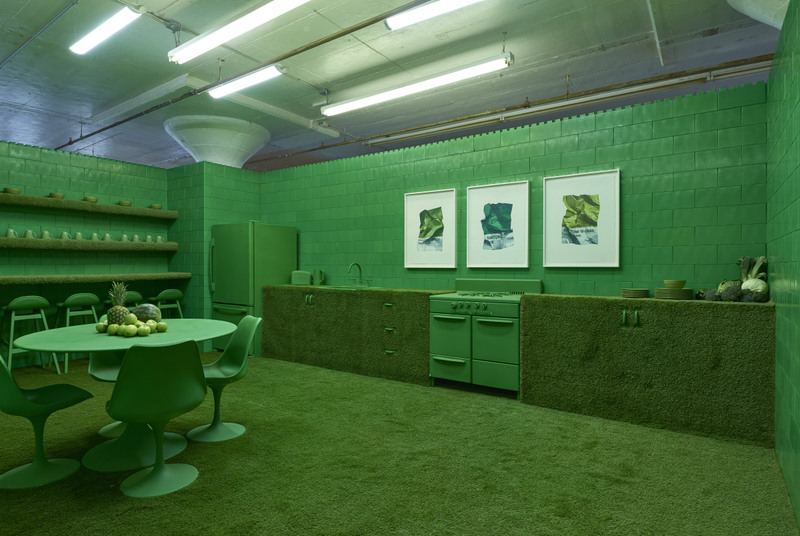 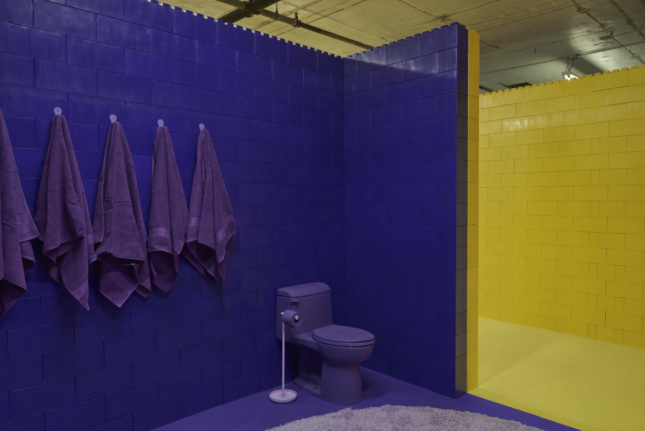 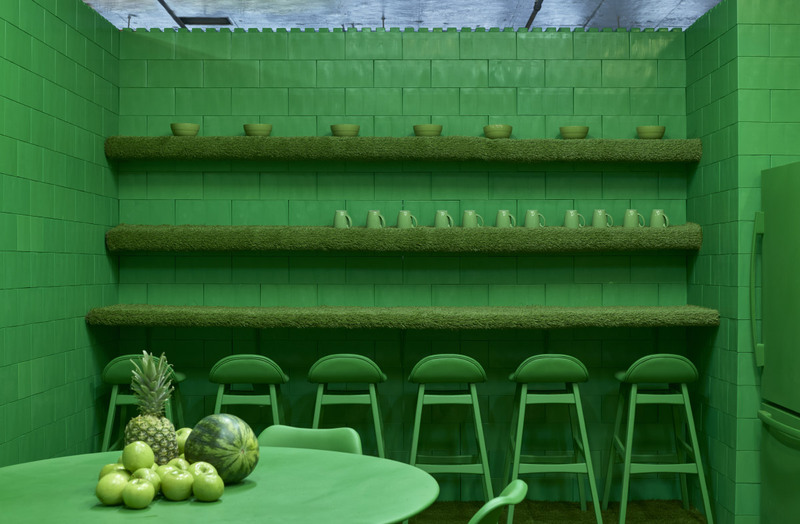 The kitchen is green, the bedroom is fully yellow, a bathroom has been rendered in purple, the lounge in blue, the office in orange, the dining room in red, and a woman’s bedroom in pink. 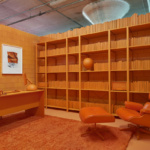 Hendry added that the drawings of crumpled color cards and resultant painting of each room was meant to give color itself a “physicality”. 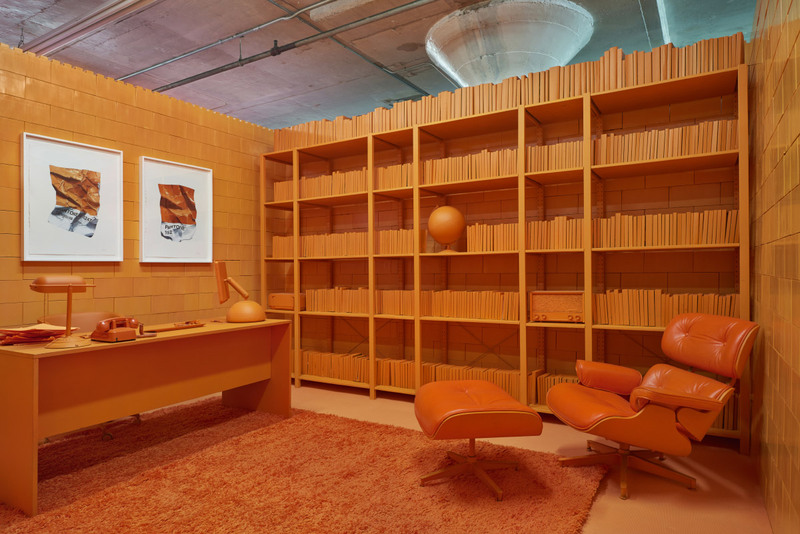 The interplay between familiar forms and unconventional color–an Eames Lounge Chair painted orange, yellow blue jeans–lends the items within a heightened air of artificiality. Monochrome will be open to the public from 10:00 a.m to 5:00 p.m. at 276 Greenpoint Avenue in Greenpoint from April 5 through April 8.